Keep football fun with these Youth Football Bobblehead Awards! 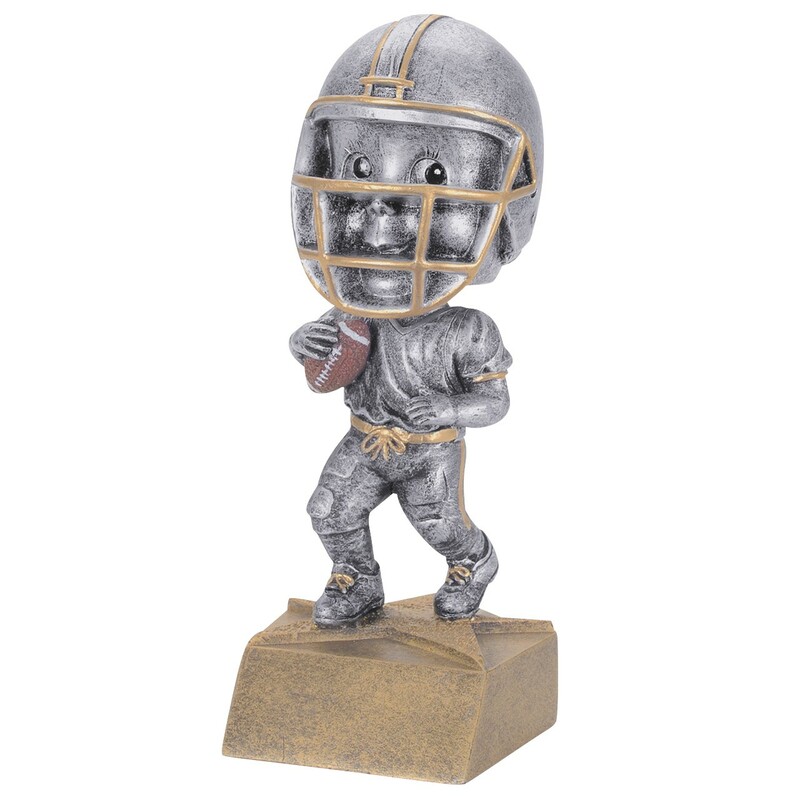 Your hardworking team surely deserves this fun trophy featuring a football runningback statue with a head that wiggles and bobs. Crafted of solid resin and resembling antiqued pewter with golden highlights, this little figure is holding tight to a brown and white football and is posed on a golden star base. Add fun to your award-giving ceremony today!